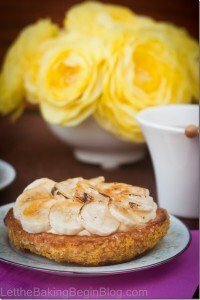 Caramel Flan Recipe - Let the Baking Begin! Caramel Flan is a Creamy Custard Dessert that’s made of cream eggs and sugar. I have been wanting to make crème Brule for a while now, but since I don’t have the torch needed for crystallizing the sugar on top of crème Brule I’ll just have to figure something else out – like flan. 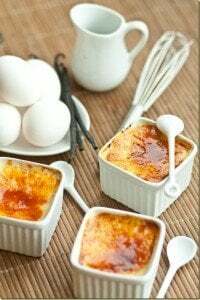 In essence, the two are pretty much the same thing, except for one has sugar – on the top and the other – on the bottom, plus the consistency of crème Brule is a bit softer than the flans. But nevertheless, this was one great substitute! Since I had a ton of egg yolks left from a previous dessert, this was the perfect time to make flan. I made 7 ramekins yesterday night, today I have only one left in the fridge. I found the recipe on tastespotting at Whisk The Pantry blog. This was my first time making flan and it appeared to be a pretty easy and simple thing to do. Quick too. In preparation that is. Because you still have to give it a couple of hours in the fridge before you can enjoy this luscious, silky, smooth and custardy dessert. 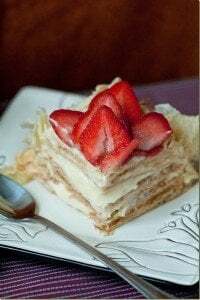 Tiramisu Recipe – Delicious no-bake tiramisu dessert. Chocolate Crinkle Cookies – Chocolate Cookies that are soft, fudgy and melt in your mouth! Cheesecake Danish Recipe – Puff pastry dessert filled with cream cheese. Turn your oven to 350F. Line a baking sheet with a paper towel or just a regular kitchen towel. Boil some water in a teakettle. Meanwhile get your ramekins ready. Distribute the caramel evenly between the ramekins, covering the bottom completely. Set aside. Boil the cream and milk together. Set it aside. In a separate bowl, whisk the eggs, egg yolks and sugar together for a minute or so. 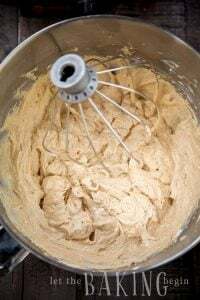 Add the vanilla extract and give it another whisk. Continuing to whisk, pour a quarter of the milky liquid into the eggs and mix it well together (this is to temper the eggs so that they don’t curdle). Whisking all the while, pour the rest of the milk into the custard, to incorporate everything together. Using a large spoon, take off the foam off the top of the custard. Distribute the custard among the prepared ramekins.Put the ramekins into the lined baking sheet. Put the baking sheet into the oven. Carefully pour the boiled water into the pan around the ramekins, letting the water come only halfway to the top of the ramekin. Bake for 25-30 minutes, or until a knife inserted in the middle comes out clean. Run a knife between the ramekin and the custard to loosen it up from the walls.Cool on a baking rack to room temperature, then cover and refrigerate for about 4 hours before serving. Run a knife around the inside of the wall of the ramekin. Place a serving dish on top of the ramekin with the custard. In a quick motion, turn the dish together with the ramekin, upside down. Lift the ramekin to display a delicious dessert! I was wondering why line the baking sheet with a kitchen towel and why boil the milk & cream prior? Ive never added water to the sugar as well. Your recipe is different than the flans ive made before so wondering what those extra steps provide. A kitchen towel just keeps a barrier between the baking pan and the ramekins, allowing gentler heat to distribute throughout the ramekin and the flan. Heating the milk before adding to the egg yolks speeds up the baking time, and prevents the flan from overbaking. Overbaked flan typically has what looks like bubbles throughout, instead of being custardy smooth. If you add it cold it takes a long time for the heat to travel from the outside to the inside, therefore the outside is overbaked (hence the bubbles) by the time the middle is baked through. The caramel can be made just by heating the sugar until it is amber in color, or by adding some water to it to start. The water slows down the caramelization of the sugar. This helps to catch the caramel at the correct “amberness”, without burning it. Couple of questions: how long do you cook the sugar and water before it gets to caramel? Is it 3 tablespoons? Do you have to stir this the whole time? Hi Barb, I can not remember now, but you just cook it until it’s amber in color. No you do not need to stir it, only may be at first to help the sugar dissolve, but not after that. Thank you! Actually, this is my second blog… that some time ago I decided to keep only in English, as opposed to my other blog that's dedicated to all of my recipes in Russian. Due to lack of time, the other one is more updated then this one, so if you ever need recipes, you're welcome to check it out. 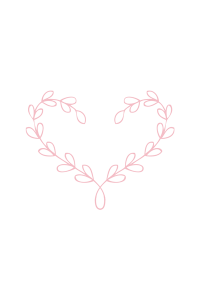 OMG, i found your blog by accident and could not stop reading it. Everything looks so delicious and makes me wanna go cook, bake and eat right now. Such a great job on the pictures too. Thank you for sharing I am ready to try some of your recepies. i eat this … very tasteeee!!! Oh my god! your caramel flan looks so tasty. Really want to eat it but my baby allergic of eggs. Sadly. 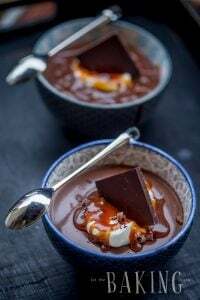 It looks so rich and creamy!Hope you wont mind I'd love to guide Foodista readers to this post.Just add the foodista widget to the end of this post and it's all set, Thanks!